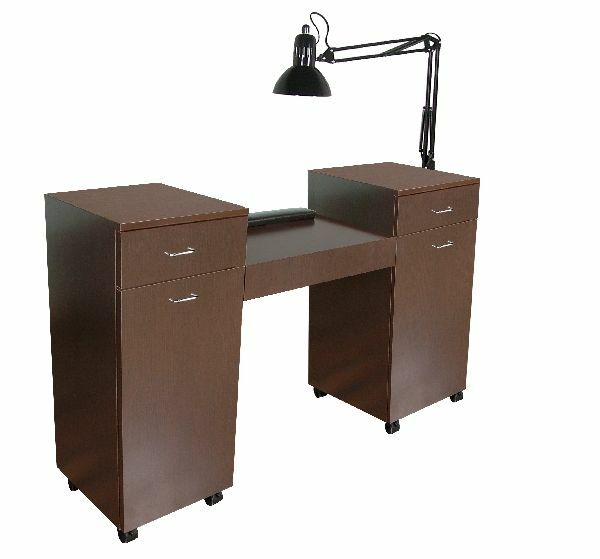 Java 56" Nail Table w/ twin cabinets, each with drawer and storage cabinet w/ adjustable shelf. Locking casters, padded upholstered rest, and lamp are standard. 56"W x 16"D x 30"H x 36"H.
Or special-order a Custom Color.